Once we accept the reality that we each live serial lives, we get very interested in karma because it affects our daily life in this incarnation. How does our karma manifest itself in our life? It certainly doesn't show up at our front door ringing a bell, does it? So what are the ways in which it shows itself? 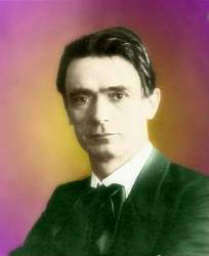 In her Foreword, Heidi Herrmann-Davey writes, "In the Manifestations of Karma lectures he [Rudolf Steiner] gives illustrative examples of the workings of karma which reveal the interweaving of individual personal karma with the karma of larger groups of people and ultimately that of humanity as a whole." We cannot be afraid of our karma if we understand we are the agent which fashions our destiny in the time between lives on Earth. Although certain things will happen to us of necessity, this does not eliminate our freedom to act in response to them. Heidi continues, "How we respond to these in our earthly life is a matter of our individual freedom and will determine our future karma." If you think that reincarnation and karma as presented by Steiner's spiritual science is some abstract airy-fairy nonsense, something one can believe in or not, something which has no bearing on your daily life, perhaps you should stop reading here. If you can accept the possibility of karma being a reality about which you want to learn more, this is the right place for you to be. [page 1,2] As I have already pointed out on many occasions spiritual science is not an abstract theory, a mere doctrine or teaching; it is a source of life and fitness for life and fulfils its task only when the knowledge it can impart pours something into our souls which make us more competent and effective. . . . Karma will reveal itself to us as a teaching which not only tells us how different things in the world relate to one another, but will make our lives more satisfying and rich. We can read about a famous composer whose parents scoffed at his wanting a music career and sent him to the university to become a lawyer. But when he arrives, he skips all his law classes and spends his time studying and learning his trade as a musician. This is his karma at work, which his parents were oblivious to, but his reaction was immediate, switching from law to music as soon as he was out of their control. Sometimes students head to college and study medicine, but grow up to find out later they hate being a medical doctor and switch into some completely different career. Steiner likens such a delayed response to one's karmic working-out to a compressed rubber ball which will stay under pressure until it finally is released and returns to full size again. [page 8] It is possible to repress something for a certain time, but through the very fact of being repressed it gains a special force, especially inwardly; an elastic force, as it were, is built up in the soul. This might be compared with the squeezing of an india-rubber ball which we can compress to a certain point where it resists, and if it were allowed to spring back it would do so in proportion to the force with which we have just compressed it. My parents were blue collar workers who were happy with whatever career I chose, so I cannot figure out why parents would drive their children into a certain career. But I have known people driven to a certain career and have watched, in many movies, lives that were thus afflicted by parental influences, inevitably resulting in a rebound later in life. When my son was five, one day he announced to us that he wanted to be a boxer when he grew up. About a week later he said he wanted to be a librarian. I figured, with that diverse range of interests, he could make up his own mind as to a career. It is good for parents to have standards, as these will influence their children's choices, but to impose their own career choices upon their children is to drive them against their own karma, a karma which we as parents have often no clue as to its existence. [page 11] Supposing we have brought up a child during the first seven years of his life without ever assuming — as it is generally assumed — that if an individual is to lead a good and useful life he must conform to our own standards of what makes a person good and useful. For in that case we would be keen to train the child strictly in everything we consider essential to being good and useful. This phenomenon is so prevalent in the new millennium that we have a name for such people: helicopter parents. They hover over their precious children like a helicopter over a traffic jam during the day and shine a spotlight on them like a police copter following a thug by night. They have already determined how their child is going to grow up to be useful in the world. Outdoors, I have seen one mom take her own hat and place it on her daughter's head to protect her girl from getting too much sun. The little girl's response was to take it off again, so the mom was forced to hold it suspended like a copter over her child. Does this sound a little farfetched to you? The effects of early childhood influences of freedom versus constriction often only show up in the old age. [page12] If we now look at the child in his later life it will be a long time before the essential effects are manifested of what we have in this way brought into the first years of his life. Observation of life reveals to us that the actual effects of what was put into the child's soul in his earliest years as causes do not manifest until the very evening of life. A person may possess to the very end of his life an active mind, if he has been, as a child, educated in this way; that is, if the living, inherent tendencies of his soul have been observed and naturally developed. If we have drawn out and developed his innate powers we shall see the fruits in the evening of his life displayed as a rich soul-life. On the other hand, in a starved and impoverished soul and a correspondingly weak old age (for we shall see later on how a starved soul reacts on the body), is manifested what we have done wrong in our treatment of a person in earliest childhood. This is something in human life which in a certain way is so regular that it is applicable to everyone as a connection between cause and effect. When a human being is about three years old, its hippocampus (which transmits memory to cortex) first becomes operational and this represents the dawn of human consciousness, that is, the time when our first declarative memories are available from our cortex. The cortex begins receiving memories at three, but not every memory reaches it because the hippocampus takes two more years to become fully operational, at about the age of five. What happens to events from conception to five which do not make it to the cortex? They remain as mute memories in the limbic system of the root brain, unconscious memories of the various physical body states of the body. These mute memories can be triggered later in life, e.g., some bodily state can occur and trigger a full-fledged emotional state ranging from happiness to deep despair or fear. In the science of doyletics, these mute memories or physical body states are called doyles, or doylic memories, to distinguish them from declarative or ordinary memories. A simple memory procedure called a Speed Trace can allow anyone to trace away unwanted (bad) emotional states in a few minutes. In doing so, the previously unconscious memory is turned into an ordinary memory. When one does such a trace, one has a fully functional hippocampus working which can feed the unconscious event to one's cortex, making the event fully conscious for the first time. After a trace, the unwanted bodily state no longer arises, but the memory of the original event arises. Steiner explained over a hundred years ago that most people cannot recollect memories before the three-year-old stage of their life. He didn't name the brain functions involved, but he knew the effects that were evident. [page 13] There is indeed, a point of time when my recollections of life begin, which does not coincide with my birth, but which comes somewhat later. With the exception of initiates this is how people experience this — they refer to their consciousness as reaching back to just that point. There is, indeed, something very remarkable in the period of time between birth and the beginning of this recollection of life, and we shall return to it again as it will throw light upon important matters. Except, then, for this period between birth and the beginning of memory we can say that life between birth and death is characterized by the fact of one consciousness extending throughout that period of time. We have one consciousness going back to the beginning of memory, but we have also an unconscious source of feelings, physical body states, which go further back, far into the womb, which has an impact on the rest of our lifetime. At ten, at forty, or at eighty, one can trace, recover, and convert these bodily states into ordinary memory and thus remove the deleterious impact of them on our subsequent life. 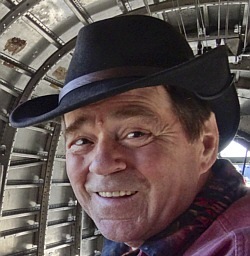 Steiner was an extraordinary individual who could find the connection between events below the beginning of memory and thus make the connection with events after that time. The Speed Trace is a simple memory procedure that an ordinary individual can learn and use today, requiring no extraordinary skills of memory to place these connections before one's soul. [page 13, 14] Normally people do not look for the causes of what happened to them later in life in earlier periods of their life; yet it would be possible to find such connections if sufficient attention were paid and if all possible aspects were properly investigated. When we use the consciousness we all have in the form of our memory consciousness and try to place before our soul the connection between earlier and later events in the karmic sense, we might say, for example: I can see that certain things that have happened to me might not have happened if this or that event had not taken place earlier in my life. Or else: Now I am paying for what my early upbringing has done to me. Even if all you achieve is understanding a certain connection between the wrong others have caused in you through the way you were brought up and certain events in your later life, it will be helpful to an extent. It is easier then to find ways and means of counteracting the early harm suffered. Indeed, recognizing such connections between causes and effects in the different periods of our life which we can contemplate with our ordinary consciousness can be of very great benefit. Many of the wrongs done to us before the age of consciousness result in our reliving the bodily states of these wrongs, over and over again, until we remove them. Some people remove them over the course of decades, wondering perhaps as I did, "Why do I hate macaroni and cheese?" By age thirty, I realized that I like cheese and separately I like macaroni, so I tried them together and they were okay, the dish no longer caused my previous bodily states of physical disgust. This is an example of how each of us might do an unconscious Speed Trace over a period of decades. A conscious Speed Trace can be done at any age above five years old, the younger child needs some guidance, but it can be easily led through the steps of removing some fear or anger doyles by a knowledgeable adult. Doyles of anger can have a serious effect on people around us. To trace them away is to undo the wrongs done to us, and simultaneously prevent us from doing these wrongs to others from now on. [page 14, 15] Thus we see that it is desirable to reach beyond our immediate life karma and attain to an understanding of the laws of karma. This may be very useful in our life. What should a person do who in his fortieth year attempts to avert the effect of wrongs done to him, or wrongs which he himself did in his twelfth year? He will do everything to avert the consequences of his own misdeeds or those of others towards him. He will to a certain extent replace by another the effect which would inevitably have arisen had he not intervened. The knowledge of what happened in his twelfth year will lead him to a definite action in his fortieth year, which he would not have taken unless he had known what it was that had happened in his twelfth year. What, then, has the man done by looking back at his early life? He has applied his consciousness to make a certain effect follow a certain cause. He has willed the effect and has brought it about. This shows us how, in the line of karmic consequences, our will can intervene and bring about something which takes the place of the karmic effects which would otherwise have followed. If we consider such a case in which a person has quite consciously brought about a connection between cause and effect in life, we could conclude that in this case karma, or the laws of karma, have penetrated his consciousness, and he has himself, in a certain way, brought about the karmic effect. As a result of the innovative research of Doyle Henderson, I am able to present you a simple method of intervening in the karma of your life, the Speed Trace. Rightly understood, bodily states encountered before the onset of consciousness at three years old can be reactions to events which happened in a this lifetime or a previous lifetime, both of which a child can access. If a pre-incarnation event is triggered in say, a one or two year old, the doyles that are stored become a part of the child's current incarnation and can be later traced away. In my own helping individuals trace away onerous doyles, in many cases, they have insisted on going back before birth and then successfully removed the offending doyle. In my Essay, The Childhood of Humanity, I endeavor to explain how this is possible as a human capability. [page 28] The materialism of modern times is only a consequence of the fact that even the most spiritual of religions, Christianity, was at first conceived of in purely materialistic terms in the West. It is, after all, the destiny of western humanity, of the western nations, that they have to work their way up from the low grounds of materialism and develop — through overcoming these materialistic views and tendencies — the forces which will lead to the highest spiritual life. It is a consequence of this destiny, this karma, that the peoples of the West have a tendency to consider animals as mere automata. It is clear that Descartes did, however, envision that animals had some elements of a soul, "permeated and animated by so-called Spirits of Life." Animals do not each have a complete individuality, which in humans we call an "I", but they contain a primitive version of soul, a piece of a Group Soul of its species to which the animal returns to upon death. As a result, animals do not reincarnate as humans do. [page 29, 30] In the animal kingdom we find nothing resembling that human individuality which is preserved when a person passes through the gate of death and lives a particular life in the spiritual world during the period from death to a new birth in order then to enter existence again by a new birth. Beavers bring their teeth into a new incarnation together with the knowledge of using them to build a dam. Humans bring their knowledge of how to build a new set of teeth about age seven. Everything else, we learn after we arrive in our new body. How can the beaver bring such knowledge along into life and humans can't? Are we dumber than beavers? No, humans developed such knowledge in the course of evolution and left them behind in the beavers. Similarly humans left behind amazing powers in the various other animals as part of evolving into human form. [page 32] It is not that man in a primordial past missed this endowment of capabilities while the animals took them all for themselves; he also received these powers, indeed in a far greater degree than the animals. For although the latter beings bring a certain great artistic skill into the world with them, this is, however, limited in extent. Fundamentally at birth the human being can do nothing at all, and he has first to learn everything which concerns the outer world. [page 33] Because only by acquiring this inner organization could man become the vehicle of what at the present time is the 'I' which progresses from incarnation to incarnation. No other organization could have become this bearer of the 'I', because it depends altogether upon the external shrine whether an 'I'-individuality is able to be active in the earthly existence or not. This next passage is going to shake up a few cherished beliefs about the Devil among Christians and others. What they call the Devil is Lucifer, a spiritual being at the level of the Elohim during the time the Christ Being was also an Elohim. It is of utmost importance to understanding of the Christ Deed called the Mystery of Golgotha for us to know that the deeds of an Elohim can only be undone by another Elohim. Yes, evil resulted from the deed of Lucifer, but it should never overshadow the good for all of humanity which resulted from that deed. Rightly understood, this deed was a great sacrifice by Lucifer and it gave us our humanity. [page 37] During the old Moon evolution certain beings remained behind as the luciferic beings, and through them much that is evil has resulted; but to them we also owe what makes human existence possible, namely, the possibility of freedom, of the free development of our inner being. Indeed, we may say that in a certain sense the remaining behind of the luciferic beings was a sacrifice. They remained behind so that during the Earth existence they would exercise certain activities; they could bestow on man the qualities which pertain to his dignity and self-determination. We must accustom ourselves to entirely different ideas from those which are customary; for according to the usual ideas one might perhaps say that the luciferic spirits failed to progress and had to remain behind; and we could not excuse their negligence. But it was not a question of the negligence of the luciferic beings; in a certain sense their remaining behind was a sacrifice, in order that they might be able to work on our earthy humanity through what they acquired by this sacrifice. This luciferic sacrifice became like a distillation process for human beings, and in any distillation there are denser elements which remain behind. What we call plants and animals are the two kingdoms which were left behind as humans evolved. The animal kingdom was left behind after the Moon stage of evolution of humans, after the Moon separated from the Earth in a great distillation. [page 41, 43] Thus, side by side with man, we see a kingdom of organisms actually developing, which, by preserving the Moon character, had become incapable of becoming bearers of human individualities (i. e., the human "I"). These organisms are essentially those which have become our present animal kingdom. . . . They are the descendants of the bodies we no longer wished to occupy after the exit of the Moon. [page 47] Therefore, with the progress of evolution, through the knowledge of karma, the human being's relationship to the animal world will progress, too, beyond what it is now, especially in the West. The human being will raise up again what he cast down, and this will be reflected in this treatment of the animals. 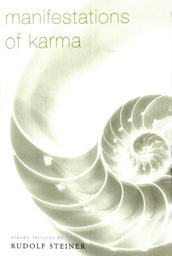 In Lecture 3, Steiner discusses the manifestations of karma in matters of health and illness. In my own work with Doyle Henderson, he shared an amazing idea that "what we call a disease are the healing states of our body reacting to the disease." Listen to someone say, "This flu bug is making me sick" and think of it this way, "The flu bug is present in my body and I am experiencing the healing states of my body overcoming the bug." Why is this important? Because healing states are physical body states which can be stored as doyles, and thus they may arise some time later upon an appropriate trigger without the flu bug or disease agent being present! Take one example, a woman as a child got a serious case of flu one night when she was staying with an aunt near Biloxi where the well water contained minute traces of hydrogen sulfide giving it a distinctive rotten egg smell, but it was otherwise harmless. Forty years later she moves back to the area and begins getting flu symptoms every afternoon, and feeling very sick into the night. This happened for several days in a row. When she told me the pattern of her symptoms, I recognized the possibility of her experiencing healing states, and suggested that she do a Speed Trace. The symptoms went away when she went below two years old. I asked her what might have happened to her at that time, and it was then that she first recalled getting flu at her aunt's house with the smelly water(2). I asked her if her new home had this kind of smelly water and she said, "Yes, we were planning to put in an expensive water filtration system to eliminate it." She had no idea that her flu-like symptoms were simply healing states triggered by the smell of the water; she thought she actually had the flu. But, the symptoms went away the next day and did not return. No need for a filtration system. Confirmation of Doyle’s thesis of healing states and the efficacy of the Speed Trace. Thus we can see that healing states are the result of what Steiner calls "healing forces" and they arise in us in response to some trigger, some bacteria, some virus, or some injury. Like a plant, the human body's etheric body is basically healthy and generates healing forces to return an ailing body to health. Sickness is the name we give to the symptoms we experience when our etheric body forces are at work restoring us to health. A fever, for example, is not an illness, but our etheric body overcoming an illness. The big difference between humans and plants is that plants "only fall ill in response to an outer injury." (Page 54) It is therefore inaccurate to say that a plant has a disease in it; if the plant appears to be diseased, one should look for the disease agent in the soil, not in the plant. Mottled, yellow leaves, dying branches, poor growth, etc, all result from ailing plants suffering some deficiency or excess in the soil of which it is an integral part. A simple excess of moisture from a rainy winter can cause all kinds of mold, yellowy leaves, and dying branches. At the first sign of these symptoms, I apply some equisetum tea(3) to the base of the plant and within a few days, weeks, or months, the situation has corrected itself, in other words, the plant has returned itself to full health. [page 55] So there is something the plant's etheric and physical body which is capable of activating inner healing forces in response to outer injury. This is an extremely important fact to consider. A being such as a plant, consisting of etheric and physical body, not only shows us that the physical body and the etheric body have sufficient inherent health to ensure the development and growth of the being concerned, but that there is even a superabundance of such forces which can be activate of healing when external damage occurs. Where do these healing forces originate? A physical body alone cannot heal itself, for example, a piece of quartz when split by a hammer stays split. A plant has an etheric body which is called into action to repair its physical body when damaged. Steiner explains that it is possible to see the increased etheric body activity in the spot where an injury to the plant has occurred. Have you ever seen a blue crab with a stumpy claw? I know that I have on occasion, but Steiner reveals why the stumpy claw occurs: the higher up the level of evolution, the less a species can replace a missing limb or organ. The triton is a creature inside of a conch-like shell, it exists at a very low level and it can lose one of its appendages or organs and grow a completely new one in its place. Go a little higher up in evolution and, if a crab loses a claw, it cannot grow a new claw, not until the crab moves into a new shell, and then the new claw will not be fully developed. Thus the appearance of a stumpy claw in some crabs. After several shell renewals the crab will grow a fully developed claw. We know as humans that if we injure a spot on our body through a bump or a small cut, it heals itself, but if we lose a finger, it does not grow back. This results from the closer the connection between the etheric body and the physical body in higher animals and humans. [page 58] There is a much more intimate connection between the etheric body and the physical body, and when the physical body develops its form and organizes the forces of physical nature, these forces react upon the etheric body. To put it clearly: in the lower animals or the plants, that which is outside does not react on the etheric body but leaves it untouched, carrying on an independent existence. When we come to the higher animals, reactions of the physical body are imposed upon the etheric body which adapts itself completely to the physical body; so that if we injure the physical body, we injure the etheric body at the same time. Hence the etheric body has to exercise greater powers as it has to first heal itself and then the corresponding member in the physical body. Therefore in the case of the etheric body of a higher animal, deeper healing forces must be called forth. In higher animals, the astral body is stronger than in the lower animals which resemble plants in many ways. The greater the presence of the astral body, the more a being is connected to the external world, and the more the etheric body must work to repair injuries. [page 59] Where an astral body is active, external impressions are reflected in inner experiences, but a being in which the astral body is inactive is more shut off from the external world. The greater the activity of the astral body the greater is that creature's openness to the outer world. Thus the astral body unites the inner nature of a being with the outer world, and the increasing activity of the astral body brings it about that the etheric body has to use much stronger forces to make injuries good. [page 59, 60] It follows its plan of life, and all its actions are subject to a sort of typical program . But the human being, having risen higher on the ladder of evolution, is able to discern between right and wrong, truth and falsehood, good and evil. He comes into contact with the world outside in countless different ways and for many purely individual reasons. All these kinds of contact react and make an impression upon his astral body, and as a consequence of the interaction between his astral body and etheric body, both now suffer these reactions(6). Thus if a person leads a dissolute life in any respect it will make an impression on his astral body which in its turn influences the etheric body. How it will do this will depend upon what has been laid down in the astral body. This will enable us to understand that our etheric body changes in accordance with the kind of life we lead within the boundaries of good and evil, right or wrong, truth or untruth, and so forth. If we understand that the human being carries an extract of its etheric body into the next incarnation, we can begin to understand how our state of health in this lifetime results from our deeds in a previous lifetime. Steiner gives us a quick synopsis of what happens between life, death, and a new life(7). [page 60, 61] Let us now remember what takes place when a human being passes through the portal of death. We know that the physical body is laid aside and that the etheric body, now united with the astral body and the 'I', remains. When a certain length of time has elapsed after death, a time which is measured only by days, the etheric body is thrown aside as a second corpse; an extract, however, of the etheric body is left over and this is taken along and kept permanently. In this extract of the etheric body is contained, as if in an essence, all that has penetrated the etheric body, for example, from a dissolute life, or from true or false thinking, feeling and action. This is contained in the etheric body and the human being concerned takes it with him into the period up to a new birth. As an animal does not have such experiences, it cannot, of course, take anything over in the same way beyond the portal of death. When a human being comes into existence again through birth, the essence of his previous etheric body now impregnates his new etheric body and permeates its structure. Therefore in his new existence the person has in his etheric body the results of what he had experienced in his previous life, and as the etheric body is the builder of an entirely new organization at a new birth, all this now imprints itself on his physical body also. With animals lower than humans, the results of a previous lifetime are not carried forward into the next; only the astral body of the species is carried into the new lifetime. Humans are different; the deeds from one lifetime may carry forward into the next. A person may be born with only one hand in this lifetime based on some deed committed in a previous lifetime, for example. Or perhaps, born with a disposition to various diseases. This is one of the eponymous manifestations of karma. Animals, without karma, do not have karmically affected astral and etheric bodies. [page 61] In contrast we find that in the case of the human being not only his astral body but also his etheric body is impregnated with the results of the deeds of his previous life: and as the etheric body has within itself the power to bring forth what it formerly had, we shall also understand that this etheric body will also build into the new organism that which it brings with it from previous incarnations. Now we understand how our deeds in one life can work over into our state of health in the next life, and how in our state of health we have often to seek a karmic effect of our previous life's deeds. Once more Steiner refers to our doylic memories which are stored out of our consciousness at an early age and remain there until we do a Speed Trace on them(8). [page 63] Our human life is very much richer than what actually reaches our consciousness. In the entire period from birth until the time when memory begins we receive an infinite number of rich impressions which all stay within us and which change us in the course of that period. One of the things we emphasize in the study of doyletics is how important the job of parents are as they control the set of experiences their children receive during this period when doylic memories are made and stored unconsciously. [page 64] Once this becomes clear to you, you will grasp the infinitely great responsibility involved in bringing up a child in its earliest years; you will understand how everything will cast its shadow or light into the subsequent life of the individual concerned in a most significant manner. In this way something of an earlier stage of life works into the later stages of that life. By using the simple memory procedure of the Speed Trace, a parent can easily remove any bad doylic memories for their children the following day just by talking to them. Or years later by using a quick talking Speed Trace we recommend for children. Adults can learn to identify bad doyles in themselves, those unwanted reactions which arise repeatedly, such as an intense fear response to a scorpion, a roach, a spider, or perhaps an upsetting mood, and these can be quickly and easily traced away in the privacy of their homes and offices. Steiner gives us an example of how a disposition towards disease can evolve over three lifetimes. Perhaps you know people who fit into each of these categories or would like to consider which one you might fit into in this lifetime. [page 67] Spiritual science shows that a life which knows neither devotion nor love — a superficial life in one incarnation — expresses itself in the tendency to lying in the next incarnation; and in the third incarnation this tendency to lying manifests itself in incorrectly formed organs. Thus we can karmically trace the effects in three consecutive incarnations: superficiality and unsteadiness in the first incarnation, then tendency to lying in the second, and the physical disposition to illness in the third incarnation. This shows us how karma is connected with health and illness. This also shows how the excuses people use for lying are truly superficial. Yes, one can say lies don't hurt anyone, but they always hurt the one who tells the lies, if not in this lifetime, certainly in succeeding lifetimes. Look around and you can see people in all three of these stages; one person in the superficial stage, another in the lying stage, and another in the illness stage. Morality is not just something you do for others; it is something you do for yourself. [page 68] Such is the connection which exists between our life of good or evil, our moral and intellectual life in one incarnation, and our state of health or illness in the next. Why do some people recover from diseases and others die from them? The simple answer is that the healing states of diseases can become either a gain, a move to perfection, in this lifetime for one person, and in another person the same healing states can be a down payment on perfection in a future lifetime. In my own lifetime, I have experienced a healing state of tuberculosis without being aware for decades that it had happened to me. About age 55, I had an operation to patch a small belly button hernia and the X-ray shows a spot on my lungs. Consultation with an expert showed it to be a simple TB scar. When I was 18 or so, my aunt who was living with us contracted TB and was hospitalized for several years before recovering. Apparently that TB scar resulted from contact with her and represented a battle won by my body's healing forces. [page 80] The case is different in the so-called 'tuberculosis of the lungs', when we see the singular phenomenon whereby the self-healing forces become active and the harmful influences which arise are surrounded, encompassed, as it were, by something like connective tissue; this is then filled in with calcareous substance which forms solid inclusions. It is quite possible to have such inclusions in one's lungs; in fact it is a lot more common than one would think. This phenomenon always points to a tubercular lung that has been healed. Where such a thing has taken place, a war has been waged by the human inner being against what the ahrimanic forces have produced. It is a defensive process from within against what has been brought about by external materiality, in order to lead to the independence of the human being in this special sense. Here is how Steiner describes a person who recovers from a disease and benefits others thereafter. [page 81, 82] If we clearly understand that the aim — the karmic aim — of illness is the progress and the improvement of man, we must presume that if a person in accordance with the wisdom which he brings with him into this existence . . . contracts a disease, he then develops the healing forces which involve a strengthening of his inner forces and the possibility of rising higher. Let us suppose that a person in the life before him, owing to his general constitution and his remaining karma, were to have the force of progressing during this life by means of that which he has acquired through illness. Then the healing has an object. The person comes forth healed from the illness, having gained what he was to gain. Through the conquest of the illness he has acquired perfect forces where previously he had imperfect forces. If through his karma he is equipped with such powers, and if through the favorable circumstances of his former destiny he is so placed in the world that he can use the new forces, and can work so as to be of use to himself and others, then	healing comes about and he will find a way out of the illness. Then he describes a person who does not recover from a disease, but makes progress towards health in a future lifetime. There are individual karmic reasons why some diseases can be cured and others result in death. [page 82] Now let us suppose a case in which a person overcomes a disease, develops the healing forces, and then is confronted with a life which exacts from him a degree of perfection he has not yet gained. He would, indeed, gain something through the conquered disease, but for other karmic reasons he would not have gained enough to assist others. Then his deeper subconscious says: 'Here you have no opportunity of receiving the full force of what you really ought to have. You had to go into this incarnation to gain the degree of perfection which you can only attain in the physical body by overcoming the disease. That you had to acquire; but you cannot develop it further. You have now to go into conditions in which your physical body and the other forces do not disturb you, where you can freely work out what you have gained through the illness.' Such an individual seeks for death so as to use further, between death and another birth, what he cannot use in life. Such a soul goes through the phase between death and a new birth in order to construct an organization with the stronger forces it has gained by overcoming disease. In this way, through the presence of an illness, a payment on account, as it were, may be made, and the payment is completed after passing through death. If we understand how karma plays out in the course of a disease, should one wish for their own or their loved one's illness to end in death? Steiner says emphatically, No! No euthanasia, no assisted or un-assisted suicides. These situations cannot be decided by our everyday consciousness, but only by higher consciousness. He provides wise guidance to those confronting such life and death decisions. We can be buoyed by the thought that if an illness ends in death, its purpose was for higher good of the individual. [page 83] Now, it would be inadmissible to conclude from this that there might be cases where one ought veritably to wish for a certain illness to end in death. It would be inadmissible for anyone to say such a thing because the decision whether an illness is to be cured or not is subject to a higher kind of reason than that encompassed by our normal consciousness. In the world between birth and death, and with our ordinary consciousness, we must humbly desist from attempting to decide such questions. However, with our higher consciousness we may by all means adopt a point of view from which we are able to accept even death as a gift from the higher spiritual powers. But we must not presume to occupy such a higher point of view with that consciousness which is given us to help and work in the world. We might easily succumb to error and would then interfere terribly in something in which we must not ever interfere: the sphere of human freedom. If we can help a person to develop the self-healing forces, or support the work of nature ourselves, so that a cure may come about, we must do it. And if the question should arise as to whether the patient ought to live on further, or whether he would be more helped if he died, our assistance must nevertheless always be given towards healing. If this is done we help the human individuality to use its own powers, and the medical assistance only supports him in this. Then it will not interfere with the human individuality. Understanding means doing our best to help someone who is ill, and accepting with equanimity whatever befalls them. [page 84] This is all we need to do when we are confronted with such decisions. We need to find a point of view from which the incurability of a disease does not depress us, as though the world contained only what is imperfect and evil. Our insights into karma must never inhibit our will to heal. In fact, our understanding of karma will reconcile us to the hardest of destinies. In Lecture 5 Steiner deals with "Karma in Relation to Natural and Accidental Illness". Much of this lecture deals with how innovators stumble onto their discoveries — by accident we would say. For example, by chance, Martin Luther discussed the Bible with a friend and decided to renew his study of the Bible, leading to his ground-breaking translation of the Bible into the vernacular of his people. There are two forces that influence us in making decisions, luciferic and ahrimanic forces, and Steiner outlines how they do so. [page 101] While the luciferic forces act more within by influencing our astral body, the ahrimanic forces act rather through the external impressions which we receive. In what we receive from the external world there are contained the ahrimanic forces, and in what arises and acts within the soul in the form of joy and dejection, desires, and so forth, there are contained the luciferic forces. The luciferic as well as the ahrimanic principles induce us to give way to error. The luciferic principle induces us to deceive ourselves as to our own inner life, to judge our inner life wrongly, to see maya, illusion within ourselves. At the close of this lecture Steiner sets the stage for Lecture 6 which deals with "Karma in Relation to Accidents". [page 105] Today I had to show in somewhat greater detail how Lucifer leads to illusions within ourselves, and how Ahriman becomes intertwined with external perceptions and there leads to maya(9); that it is the work of Lucifer when we delude ourselves with a false motive, and how wrong conclusions in relation to the world of phenomena — Ahriman's deception — lead us to believe in chance. I had to give you this background before demonstrating the working of karma, of the results of an earlier life, in human life even where seemingly accidental outer reasons bring about illness. When I was fifteen, I nearly severed my left thumb in a circular-saw accident. The doctor sewed my thumb back together with a dozen stitches, and, except for a slight numbness in its tip, my thumb is normal again. I have often thought about what was going on in my life. I was helping cut the wood block tile for a bedroom and after cutting the last tile, I reached across the table saw(10) to remove the tile and my thumb hit the spinning saw blade. What happened and what did not happen to me as a result of this so-called accident? These are two questions I have offered to many people since I discovered their efficacy in finding a good intention of any illness or accident. For me, the important question was what happened. After the accident, I had my last two weeks in the ninth grade with kids I had been classmates with for nine years. The big white bandage on my thumb called attention to me, so my friends all found a chance to talk to me, and I got a chance to tell them that I was going to a different school 30 miles away in the fall. This chance for the shy me to interact with my friends was important to me, and though I would have preferred a less painful way of doing so, it worked for me at that point in my life. While the accident may not have been karmically related, my disposition towards shyness, which may have the underlying cause of the accident, was likely karmic in origin. As for a musical ear, I have been severely lacking one, being unable to tell if a note is on-key or not. I managed to play a trumpet for several years in high school and later taught myself to play the organ, plus I sang in a Barbershop Chorus during the New Orleans World's Fair in 1984. I found to my surprise that I could sing along in key with other voices, but was unable to sing in a quartet where I would be the only voice doing a given part. I studied music theory, and have enjoyed various kinds of music, but without sheet music, I cannot play any music. None of my playing and studying of music helped develop a musical ear in me. My only hope is to reincarnate into a musical family such as the Bach's were. [page 107] When we reincarnate we do not come haphazardly to such and such parents or to such and such a country. There are reasons for all of this and these relate to our innermost being. Even in those hereditary characteristics which have nothing to do with illness, we must not assume anything haphazard. In the case of a family such as Bach's, for instance, which produced numerous musicians over many generations — in Bach's family more than twenty more or less gifted musicians were born — one might easily assume a pure line of inheritance, where certain characteristics are inherited and where the individual, due to the presence of these characteristics, develops certain abilities preserved from previous incarnations into musical talent. This is not so, however; the facts are quite different. By relating to our inner being, I suspect he means someone like me who was exposed to music a lot, but was not born in a family where other than popular songs on the radio were played. As a result I didn't have a musical ear. I thought I sang off key, but have found that was singing I did along with my mother who sang off-key, so far as I can tell now, looking back. [page107, 108] Suppose that someone has the opportunity of receiving many musical impressions in a life between birth and death, that these musical impressions passed him by in this life, for the simple reason that he did not have a musical ear. Other impressions which he receives in this life do not pass him by in the same way, because he has organs so formed that he can transform the experiences and impressions into capacities of his own. . . . If someone has received a great many musical impressions, and was unable to transform them into musical capabilities or the ability to enjoy music because of an unmusical ear, it will be this inability which will call forth a tendency in his soul to come into a family where he will inherit a musical ear. . . . This shows us that, in fact, a person has not inherited a musical ear or a similar gift in a particular incarnation 'by chance', but that he has looked for and actually sought for the inherited characteristic. We live inside of a spiritual world, but in this level of consciousness we are not able to perceive it without special training of the type that was given in mystery schools and provided by Steiner in his various books. Why can't we perceive the spiritual world is a question that is best answered by looking at the various results of LSD on otherwise unprepared folks. A young woman, otherwise healthy and in her right mind, dove through a high-rise window to her death in the 1960s. Something was dangerous or could be dangerous about taking LSD and that led to its being declared an illegal substance. [page 110] Why do we not perceive this spiritual world? Because in normal life to see the spiritual facts and spiritual things surrounding us at the present stage of human development between going to sleep and awakening would prove dangerous in the highest degree. If the human being today were to pass over consciously into the world which surrounds him between going to sleep and awakening, his astral body, which gained its full development in the ancient Moon period, would flow out into the spiritual world, but this could not be done by the 'I' which can be developed only during the Earth period, and which will have completed its evolution at the end of the Earth period. The 'I' is not sufficiently developed to be able to unfold the whole of its activity between falling asleep and awakening. Will such instant enlightenment as LSD provides ever become an everyday experience for humans? The answer is that it already is an everyday experience, or rather, an every night experience, because this is what happens to us when we fall asleep. We are protected from the dangerous activities by becoming unconscious during sleep. [page 110, 111] If we were to fall asleep consciously, the condition of our 'I' could be illustrated as follows. Let us suppose that we have a small drop of colored liquid; we drop this into a basin of water and allow it to mix. The color of that small drop will no more be seen because it has mixed with the whole mass of the water. Something of this nature happens when we leave behind our physical body and etheric body on falling asleep. The latter principles are those which hold together the whole of the human being. As soon as the astral body and 'I' leave the two lower principles, they disperse in all directions, impelled always by this principle of expansion. Thus it would happen that the 'I' would be dissolved, and we should indeed view the pictures of the spiritual world before us, but should not be able to understand them by means of those forces which only the 'I' can bring to bear — the forces of discernment, insight, and so forth — in short, with the consciousness we apply to ordinary life. For the 'I' would be dissolved and we should be frenzied, torn hither and thither, swimming without individuality and without direction in the sea of astral and impressions. That explains why we go unconscious during our sleep, but what about when we will be able to remain conscious during sleep? [page 111] For this reason, because in the case of the normal person the 'I' is not sufficiently strong, it reacts upon the astral body and prevents it from entering consciously the spiritual world which is its true home, until there comes a time when the 'I' will be able to accompany the astral wherever it may penetrate. Thus there is a good reason for our losing consciousness when we fall asleep, for if it were otherwise, we should not be able to maintain our 'I' . We shall only be able to maintain it sufficiently when our Earth evolution is achieved. That is why we are prevented from infolding the consciousness of our astral body. This is also the reason people must be subject to strict guidelines when being initiated: they must learn to maintain their 'I' as it accompanies the astral body. If not, the results may be disastrous. [page 112] We should sink down with our 'I'; and all the passions, the desires, the greed, and the egotism of which we are capable would be concentrated within this 'I'. All this egotism would pour away into the life of the senses. To prevent this we are distracted by the external world and barred from penetrating our inner being with our consciousness. During the epoch of our earlier Moon evolution, our astral body penetrated our etheric and physical body deeply. During our current Earth epoch, our etheric and astral bodies were loosened from each other by the penetration by our 'I'. We awaken each morning into our 'I' and our astral body goes to sleep — this is the normal healthy condition of our astral body during the day. We can only be healthy during the day if our astral body is asleep. [page 117, italics added ] In the case of a person whose astral body has a tendency towards a closer union with the etheric and the physical bodies than should normally take place, we can see the astral body accomplish the phenomenon which we otherwise achieve by the 'I' upon awakening. What is this excessive penetration of the physical and etheric bodies by the astral body? It constitutes the essence of illness. When our astral body does what we otherwise do upon awakening, namely pushes its way into the physical body and the etheric body; when the astral body, which normally should not develop any consciousness within us, strives after a consciousness within our physical and etheric bodies, trying to awaken within us, we become ill. Illness is an abnormal waking condition of our astral body. What is it we do when, in normal health, we live in an ordinary waking condition? We are awake in ordinary life. But to achieve the ordinary state of wakefulness we had to bring our astral body into a different relationship at an earlier stage. We had to put it to sleep. During the day, when our 'I'-consciousness prevails, our astral body needs to sleep; we can be healthy only if our astral body is asleep within us. So we can conceive of the essence of health and illness in the following way: illness is an abnormal awakening of the astral body within man, and health is the normal sleeping state of the astral body. Steiner asks, almost humorously, "Does any consciousness arise when we become ill?" [page 118] Yes, there arises a consciousness that we know all too well. And which is this consciousness? A consciousness expresses itself in experiences! The consciousness which then arises is expressed in what we call pain, which we do not have during our waking condition when in ordinary health, because it is then that our astral body is asleep. When our astral body is asleep, it is correctly aligned to our physical and etheric bodies, and that means freedom from pain. Pain tells us that the astral body is pressing into the physical body and the etheric body in an excessive way, and is acquiring consciousness. Such is pain. That is why we can say that we only become aware of having an organ when it begins to hurt us. That is consciousness at work, pain creating a consciousness of what needs attending. Carlos asked Don Juan an interesting question which involves deep consciousness, "Don Juan, you say I can be safe in any situation, but suppose a sniper in a tall tower with a high-powered telescope is aiming his rifle at me down in the street?" Don Juan said simply, "I would not be walking down that street." We each have a deep consciousness at work within us which can make decisions for us of situations to avoid if we were aware of them, like Don Juan. Would anyone walk into a place where lightning was due to strike? Well, for some stroke of destiny, one might. [page 124] One might well think that a person would not ordinarily place himself where lightning will strike him. With his ordinary consciousness he will avoid doing so. But there may be active within him a consciousness that lies deeper than his ordinary consciousness and will lead him to the very place where lightning may strike him, from out of a foresight which his ordinary consciousness lacks; a consciousness which wills the lightning to strike him and makes him seek out this accident. We can know that pain results from some inner luciferic influence, and that the effects of ahrimanic influences approach us from the external world via our inner luciferic influences. [page 130] So that in daily life we at one moment fall prey more to the temptations of Lucifer, and at another to those of Ahriman. And we oscillate between these two influences which lead us — the one to inner conceit, and the other to illusions about the external world. For many decades I had wondered what people meant by "liver complaint" and how did people know they needed various liver pills? I never knew where my liver was because I never had in pains in it. There are some kinds of liver problems, however, that do not create pain in the liver region. Steiner says these liver problems are similar to the gnawing of vultures at the liver of Prometheus in the myth. Prometheus is known for his gift of fire to humans which began embedding all of us deeply into ahrimanic illusions. 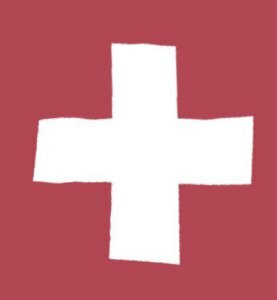 [page 138, 139, italics added, edited ] Let us take the case of a person who has a disease of the liver, but such as is not accompanied by pain. We are here dealing with the effect of a preceding ahrimanic influence which has resulted in this disorder in the liver. If this organ were not taken from him, the forces connected with a deeper penetration by the etheric body would lead him too far into maya. Sagas and myths have always known of the deepest wisdom, and have expressed it. Of this the liver is a very good example. It is an organ most eminently suited to drive us into the physical illusory world, and at the same time the liver is the organ which binds us to the earth. This truth is connected with the fact that precisely that being who, according to the legend, gave us the force to guide us into earthly life and work effectively on earth — namely, Prometheus — should have his liver gnawed by a vulture. A vulture gnaws at his liver, not because this would cause Prometheus any severe pain, for in that case the legend would not correspond with the actual facts. However, legends and myths invariably correspond with physiological facts! The vulture gnaws at the liver because it does not hurt. Because the point was to show that Prometheus was bringing something to humanity through which human beings could become more deeply enmeshed in ahrimanic illusion if it were not for the possibility of compensation. Occult records are always in accord with the truths which we make known in spiritual science. In Lecture 8, Steiner deals with earthquakes and other events of mass destruction. One cannot read the following passage and not think of the two events, the ancient Burning of the Temple of Ephesus and the modern burning of the Goetheanum. Steiner was a priest at the ancient temple and the architect of the modern building. As the Goetheanum is a symbol for the spirituality of Steiner, one can see that in the ancient burning of Ephesus, Steiner would have been turned by this catastrophe into a disposition for spirituality(11). [page 159] Let us take a case which actually happened. In a natural catastrophe a number of people perished. It is not at all necessary to believe that it was in their karma that they all should thus perish together; this would be a cheap supposition. It should not be assumed that everything is attributable to earlier transgressions. There is an instance, that has been investigated, of a number of people who perished in an elemental catastrophe. This in turn caused these people to feel very closely connected at a later time and, owing to their common destiny, they gained the strength to accomplish something important together. Through this catastrophe they were able to turn from materialism and brought with them in their next incarnation a disposition to spirituality. One cannot read this without calling to mind the over two thousand people who died in the Twin Towers of the World Trade Centers in New York City on September 11, 2001. Dying in the collapse of towers devoted to ahrimanic materialism, one can hope that these souls may reincarnate together in a huge force for spiritual good in some future century. Just as some might have an unconscious urge to head towards a place where lightning may strike, a large number of people might head into the unsanitary conditions of medieval cities and find themselves part of a population decimated by the ravages of bubonic plague or smallpox. Why might that happen? [page 165] Spiritual scientific research has shown, for example, that smallpox developed during a time when the general inclination towards egotism and unlovingness reached a particular climax That is when smallpox emerged in the outer organism. This is a fact. In anthroposophy it is our duty to speak truthfully. Smallpox is rarely a problem these days with the widespread use of vaccines, but other epidemics have taken its place for their own unique reasons, reasons which may come to the light day only in future years, after some new hygienic measure will have wiped them out like the vaccine did smallpox. [page 168] We learned that it is the great laws of humanity's karma as a whole which determine that such measures are adopted by man at a particular point in time. At the same time we can easily grasp that human beings were not led to adopt such measures at an earlier time because the epidemics which are now to be banished by means of hygienic measures were needed by humanity in an earlier epoch. . . . Just call to mind how one invention or other discovery or another, too, only occurs when humanity is really ready for it. One of the things that humanity is ready for is anthroposophy, a science of the full human being in body, soul, and spirit. Diseases have a way of helping us remove what we have karmically in previous lifetime created within ourselves. For example, Steiner says smallpox is the organ of unlovingness. When we eliminate smallpox with a vaccine, the root of unlovingness remains, and another means of karmic compensation must be sought. [page 170] When life becomes physically more comfortable due to improved health conditions, the soul is affected in the opposite way; in the course of time the soul experiences a certain emptiness, a sense of dissatisfaction, a lack of fulfilment. If the trend towards ever greater physical comfort and health continued along the lines envisaged in the context of a purely materialistic outlook on life, such souls would feel less and less incentive to progress inwardly. The whole thing would be accompanied by a stultification of the soul. What do people tend naturally towards when life gets more comfortable? Towards new sensations, new pleasures, and all the while the soul remains empty. Spiritual science helps us to understand this trend and avoid having our souls become afflicted as our everyday life becomes more comfortable. [page 170, 171] If you take a closer look at life you will see signs of this already. There has hardly been an age before ours in which so many people live in such pleasant outer conditions and yet go about with their souls barren and unoccupied. That is why such people rush from sensation to sensation; if they have enough money they travel from town to town in order to see something; if not, they rush from pleasure to pleasure every night. Yet for all this the soul remains empty, and ends up at a complete loss about what to look for in the world to fill the void. Especially when life is exclusively geared to outer physical comfort, the inclination to think solely in terms of the physical will be strong. And if this inclination to deal only with the physical world had not already been prevalent for a long time, the inclination towards theoretical materialism would not have arisen to the extent we have it today. In this way human souls are becoming more sick as physical life is rendered more healthy. Like a squeezed rubber ball, these frenetic people bounce back after a time, seeking some content related to their souls, like that found in anthroposophy. [page 171] This shows us how a materialistic approach to life may well ease things on the physical side but will at the same time create inner difficulties, which may then lead the individual concerned to seek for the content of a spiritual view of life out of his soul's suffering. The spiritual view of life encompassed today in anthroposophy meets those souls who find no satisfaction in the bleakness of impressions offered them by a purely external life, however comfortable it may be. Souls will continue in their search, and seek ever again for new impressions, until their elasticity will act so strongly in the other direction that they will feel themselves again drawn to a spiritual life. Thus there exists a relationship between hygiene and the aspirations for a future spiritual-scientific view of the world. Another manifestation of karma is the tendency for females to reincarnate as males and vice-versa. Women are more emotional and feel things more deeply than men. Men may have more intellectual and scientific experiences, but these do not reach as far into the soul as for women. These tendencies create a movement in the opposite direction for the next incarnation. [page 175] A deep working into and working through the organism will bring forth a male organism. A male organism appears when the forces of the soul desire to be more deeply graven into matter. You can see from this that the woman's experiences in one incarnation result in a male organism in the next incarnation. Occult teaching here shows that there is a connection which lies outside the bounds of morality. For this reason occultism states: man is woman's karma. The male organism of a later incarnation is the result of the experiences and events of a preceding female incarnation. Even at the risk of giving discomfort to some of those present here — after all, many men today are horrified at the thought of incarnating as women — I must state these facts entirely objectively. In anthroposophy one finds a greater number of women than men. Steiner already noticed this in his day and says this is not surprising. [page 175] Women retain more of the spiritual in the non-physical sphere. They do not penetrate so deeply into matter, and keep what is physical more flexible. The separation from the spiritual is not as complete. It is characteristic of the female nature that a greater degree of free spirituality is retained, and for that reason women do not penetrate as profoundly into matter, and keep their brains more flexible. Therefore it is not surprising that women have a special inclination for what is new, especially in the spiritual realm, because the spiritual has been retained more freely and because there is less resistance. And it is not by accident, but in accordance with a profound law, that in a movement which in its very nature deals with spirituality, there should be a greater number of women than men. In a sense, men have to work harder to enter more flexible lines of thought which are natural to women. External science, mostly created by men, can be very shallow, as impenetrable as the hardened brains of its innovators. Men are more attracted to the external world and less to their internal soul life. [page 175] We have an external proof of this in the shallowness of external science, and its comparative failure to comprehend the inner being. Although much thought is expended in a wide circumference, facts are concentrated with little thoroughness. Anyone who is compelled by their own discipline of thinking to put the facts together might experience occasional nausea at what is so bluntly presented as objective fact in the field of ordinary science. It becomes quite clear, then, how little depth there is. This lack of penetrating into the soul by a man results in his building up a female body in the next incarnation. No amount of personal dislike in this incarnation will prevent this from happening. "Woman is man's karma!" [page 182] We have learned that the female organism is the karmic consequence of experiencing life as a man and that the male organism is the karmic consequence of experiencing life as a woman; and finally we grasped that death is the karmic effect of birth in a human life. If you endeavor gradually to deepen your understanding of these things you may attain deep insights into the karmic connections of life. In Lecture 10 we enter a new realm in which Einstein's equation that states Matter is Energy divided by the speed of Light squared (aka E=MC2) is supplemented by what I call Steiner's equation that states that Soul is Energy divided by the speed of Love squared (aka E=SL2). Let's examine how this is developed. First, we examine how all matter is condensed light. The very large number created by the speed of light squared represents the gigantic condensation light undergoes before we can recognize it as a particle. [page 188] Every single substance, be it gold, silver, or any other substance, is there seen to be a condensation of this fundamental substance, which is really no longer matter. There is a fundamental essence of our material earth existence out of which all matter only comes into being by a condensing process, and to the question: 'What is this fundamental substance of our earth existence', spiritual science gives the answer: 'Every substance upon the earth is condensed light'. There is nothing in material existence in any form whatever which is anything but condensed light. When you know the facts there is no need to prove theories such as the vibration hypothesis of the nineteenth century, when it was attempted to represent light by means coarser than light. Light cannot be traced back to anything else in our material existence. Wherever you reach out and touch a substance, there you have condensed, compressed light. All matter is, in its essence, light. This equivalence of matter and light may have been hard to accept back in 1910 when Einstein's theories were so new, but over a hundred years have passed, and the equivalency between matter (mass) and light is well established, proven thousands of times over with materialistic experiments that even the hardest brain of man can accept. At the deepest level of reality, there is no matter, only light. The human being whose body is built of matter is a being of light. In other words, all the children died! They apparently could not live without a Soul being woven out of Love on a daily basis. [page 189] Let us now consider the other question: Of what does the soul consist? If we applied the methods of spiritual-scientific research to the actual basic essence of the soul we would find that everything that manifests on earth as a phenomenon of soul is a modification, is one of the infinite variety of transformations possible, of that which we call love, provided that we genuinely grasp the intrinsic meaning of this word. Every single stirring of the soul, wherever it occurs, is love modified in some way or other. And when the inner and outer are configured into one, as it were, and imprinted into one another, as is the case in the human being, we find that his outer corporeality is woven out of light and that his inner soul is spiritually woven out of love. How does light get woven into love? Remember the story of Rumpelstiltskin in which the miller's daughter is told to spin straw into gold or be executed? Along came this mischievous elf who magically assisted her in spinning gold from the golden straw,, concentrating the essence of its golden color into the metal gold. This myth seems to be about Earth's mission to become the Cosmos of Love, but how could it be done? Along came another mischievous imp, Lucifer, who wanted Light to spread as far as possible, so he taught humans how spin Light into Love in their Souls, thereby condensing Love into Soul. [page 189, 190] The power that thus weaves light into the element of love must have no special interest in love; it must be interested only in spreading the light as far as possible, in letting the light stream into the element of love. . . . The earth's mission is to weave love into everything. In other words, everything which is connected with earthly existence is connected with love in some way. This is where the luciferic beings come into play. They remained behind on the Moon, the cosmos of wisdom. They have a special interest in weaving light into love. The luciferic beings are at work wherever and whenever our inner soul which is woven out of love, enters into any kind of relationship with the element of light in any form; and we are, after all confronted with light in all material existence. When light touches our being in any way whatsoever the luciferic beings appear and the luciferic quality weaves into the element of love. This is how it came about that human beings, over the course of repeated lives, became associated with the luciferic element: Lucifer became interwoven with the element of love; and all that is formed from love has the impress of Lucifer, which alone can bring us what causes love to be not merely a self-abandonment, but permeates it in its innermost being with wisdom. Otherwise, without this wisdom, love would be an impersonal force in us for which we could not be responsible. When a loved one is in ill health, what can we do? We must realize that a luciferic element may be pressed into our loved one causing the illness and ensuing pain. Okay, then what can we do? [page 191] What is the remedy which exerts a stronger action, so that the luciferic element is driven out? What is it which has been defiled by the luciferic on our earth? It is love! Hence only by means of love can we give real help for karma to work out in the right way. Finally we must see in that element of love, which has been compromised in the soul realm by Lucifer and caused illness, a force which must be affected by another force. We must pour in love. We must give love because that which flows in through a deed of love will be helpful. This element of love given as medicine is common to all those approaches to healing which involve the healing of the soul to a greater or lesser extent. All methods of psychological healing are connected in some way with the administering of love. Love is the medicine we give to the other. Love must be the essence of it all. And it surely can be! Even when the psychology involved is straightforward, when all we do is to help another person deal with his depressed state of mind, love is involved. All methods of healing, from the simplest to the more involved methods of healing which are often referred to, rather amateurishly, as 'magnetic healing', must arise out of love. In a massage workshop I studied Ortho-Bionomy from a therapist from Hawaii. The essence of the work is to align oneself with the discomfort of the client and then to move oneself to a comfortable spot and the client moves to an equally comfortable spot. As therapist, one accepts the client's discomfort as a sacrifice and then heals oneself and the client. Done rightly, it is as magical as the deed of Rumpelstiltskin. It is definitely a deed of love. 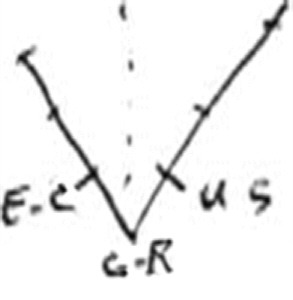 In this next passage Steiner is talking about this kind of alignment used in Ortho-Bionomy, which he calls a polarity. It is the basis, rightly understood, of all healing involving a laying on of hands. [page 192] What does the healer in such a case actually communicate to the one needing to be healed? It is, to use an expression of physics, an 'exchange of tensions'. What lives in the healer, namely, certain processes in his etheric body, relates in a particular way to the one to be healed, creating a kind of polarity. Polarity arises just as it would in a more abstract sense when one kind of electricity, say positive, is produced and the corresponding other, the negative, appears. In this way polarities are created. This is a supreme deed of sacrifice. We are calling forth a process within ourselves which is not only intended to be meaningful to ourselves, for then one would call forth one process only. In this case, however, the process is intended to call forth in the other the polar opposite. This polarity will depend on the contact established between the healer and the person to be healed; when this is produced, when the opposite process is called forth in the other, this is, in the fullest sense of the word, the sacrifice of a power, the transmuted power of love, a deed of love. This is what works in healing: the transmuted power of love. We must be in no doubt therefore that any endeavor to heal must be carried by this power of love, or else it will fail. Nevertheless, processes of love need not necessarily enter our conscious awareness; they may well take place in the subconscious. Even the techniques of healing, as one might regard them — for example the way the hands are applied — are a reflection of a deed of sacrifice. Even in the case of healing processes where the immediate connections are hidden from us, where we cannot observe what is being done, there is a deed of love involved, even if it has taken on the form of mere technique. How can luciferic light lead to illness? It can when it is the opposite of light, a darkness which is woven out of a luciferic or ahrimanic influence. This darkness is a necessary concomitant of the human body becoming the bearer of the 'I', our immortal individual essence. As a result, animals, plants, and minerals cannot be subject to the type of corruption which humans possess. This gives rise to the possibility for humans to find, outside in the other three kingdoms, some substance in an undefiled condition to provide a cure for what exists inside us in a defiled condition. [page 194, 195] That which exists in the world in its purity is the external cure for the corresponding substance in its damaged state. If you apply this in the right way to the human being, you then have the specific remedy for the corresponding injury. The above passage seems to refer to the use of homeopathic substances in minute quantities to affect a cure in human beings. We can also understand the now noticeable lack of homeopathic cures for animals; they are not subject to luciferic and ahrimanic influences, lacking an 'I'. In my studies of Barbara McClintock's Nobel-winning work in plant genetics, and the work of Anastasia getting people to grow and eat vegetables grown in their own dachas, I came to realize that eating plants grown by one's own hand is beneficial because the toxins given off by one's breath and sweat are absorbed by the plants in process of growth and they modify their genes to produce proteins which overcome the excess or deficiencies found the toxins they absorb in air and soil as you sow, till, weed, and walk among them. What happens when genes are modified? The proteins they create are modified slightly in response to external stimulants. These changes in the plant that you grow personally improve the taste of the plants, a sure sign that something good for your health is in the plants. My thesis of Plant as Doctor explains this process in greater detail. It is amazing to me to consider that plants modify themselves to make them taste better to their planters and to help keep the people tending them healthy! Let us close this review with a clarification of the concept of "free will", a concept so long misunderstood that centuries-long arguments about whether it exists or not have filled untold volumes of theological tracts. It is not our will that is free, but it is the full human being, as a body, soul, and spirit, a being with thinking, feeling, and will functions intermeshed, that is free. "Free will" would be better labeled as "Mastery of Will" — posing the unanswered question for each of us, "Have I mastered my use of will?" [page 218] The expression 'free will' in itself is wrong. We should rather say: 'We, as human beings, only become free through enhancing our cognitive faculties and through rising higher and growing closer with the spiritual world. In this way we will be filled more and more with what the spiritual world has to give us and gradually develop into beings capable of mastering our own will.' It is not the will that can become free — it is the human being as a whole who can become free through absorbing the knowledge of the spiritual world. How can we repay Lucifer for his sacrifice which brought each of us the possibility of the free use of our will? We can do this by weaving love into every portion of the microcosm of our individual lives thereby creating, each of us, a patch of the great patchwork quilt of the macrocosm which warms us with a blanket of Love as we balance our karma through successive incarnations. Footnote 1. A handy phrase learned from my friend Calvin Peterson. See more at Book of Calvin and its Glossary. Footnote 2. This recollection was a new declarative memory that arose when the original event creating the doylic memory was transmitted by her hippocampus to her cortex. Footnote 3. Equisetum tea is a simple concoction made by boiling and steeping the stalks of equisetum arvense or horsetail rushes in water. Pour this tea at the roots of afflicted plants and trees and you will be amazed at the results. Footnote 4. Mothers know intuitively that to kiss a sore spot such as a bruised knee helps the hurt go away and the injury heal faster. Any cut, bump, or bruise has pushed the etheric body away, and the mother's kiss adds a bit of etheric energy to help the area heal faster. The kiss helps the etheric body of the injured spot heal itself so that it may more quickly heal the physical body part affected. Footnote 5. If this were not a human ability, there would be no people who overeat to the point of obesity. Footnote 6. A steady diet of news programs inflicts numerous body blows on one's etheric and astral body. Footnote 7. For more details, see these two reviews: Life Between Death and Rebirth and The Inner Nature of Man and Life Between Death and Rebirth. Footnote 8. The majority of these rich impressions form the basis of what we know as emotions, joy, happiness, elation, surprise, etc, and these are so prevalent that it is not possible to trace them away. The bad feelings, hurting healing states, etc., are generally one-time tricks which can be quickly erased. Footnote 9. maya is an ancient Hindu word meaning worldly illusion, i.e., seeing only the material covering of reality. Footnote 10. This table saw was homemade by my dad, and it had no saw guard. Footnote 11. The burning of these two buildings is portrayed on the cover of World History and the Mysteries, and this book Rudolf Steiner's Mission and Ita Wegman gives details on the burning of Ephesus.